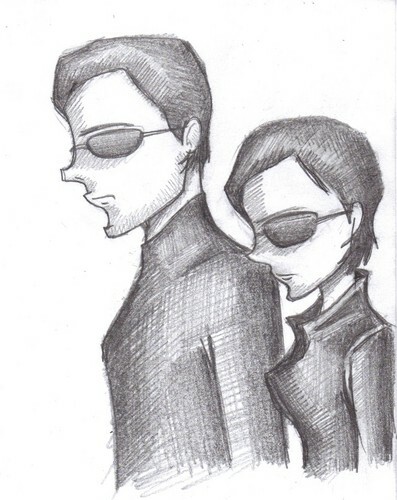 neo & trinity. in actuality, I'm deathly afraid of drawing these too because of the chance that I might not do them justice. This is my お気に入り attempt. HD Wallpaper and background images in the The Matrix club tagged: neo trinity drawing.